To create this card I first die cut the fireworks using a die from Lawn Fawn. You can find similar dies Here. Once the fireworks were die cut I used a glue pen and glitter from Sparkle N Sprinkle to add some sparkle. Small drops of Silver Moondust Glitter Drops were also added to the sky. 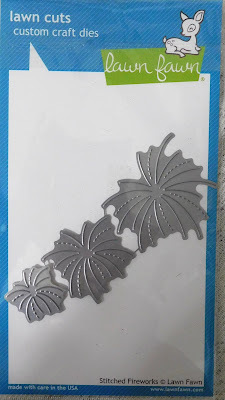 The patriotic swag die from Cheery Lynn Designs were used for the swags. Small drops of Autumn Red Crystal Drops were added to the bottom. 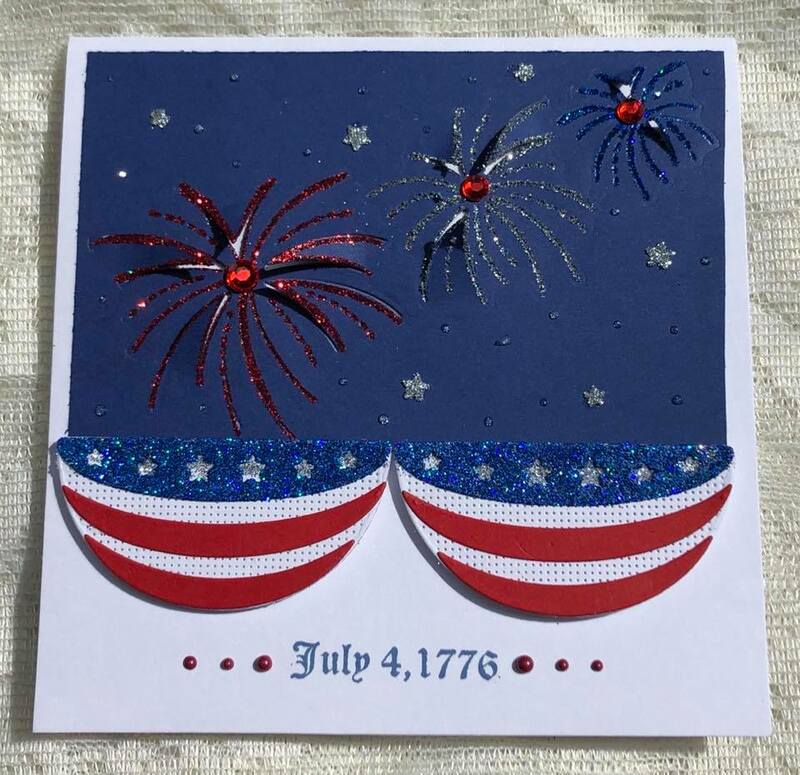 Such a beautiful patriotic card! 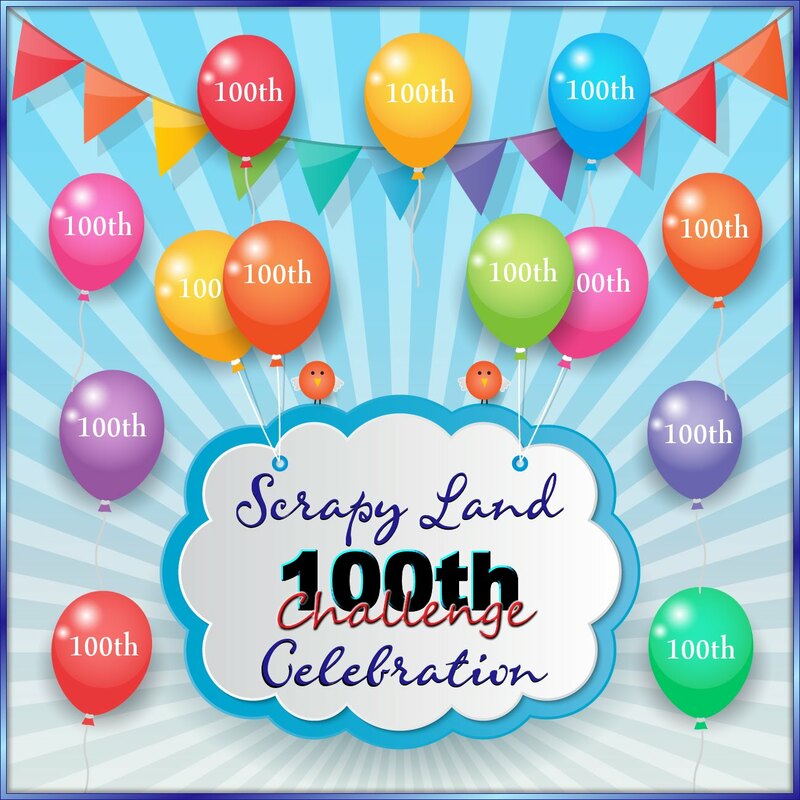 Those fireworks dies are awesome and I love the banners too! Beautiful patriotic card! The fireworks look amazing~fun sparkle!! 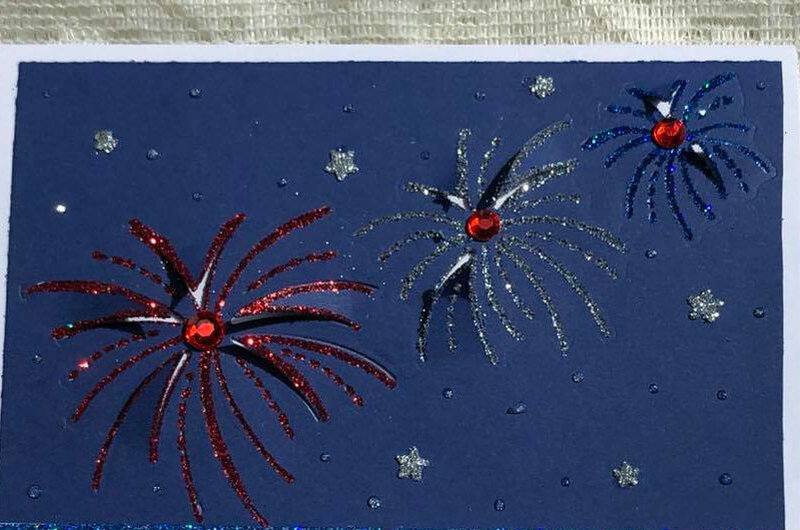 Gorgeous patriotic card Belinda! I love that swag die and your design is awesome.